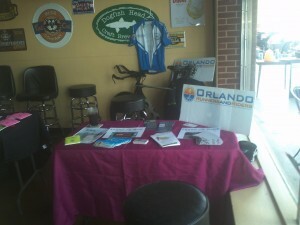 We were invited out to the Rogue Pub on Curry Ford Road to a Belgium Beer & Bikes Festival to set up a table. 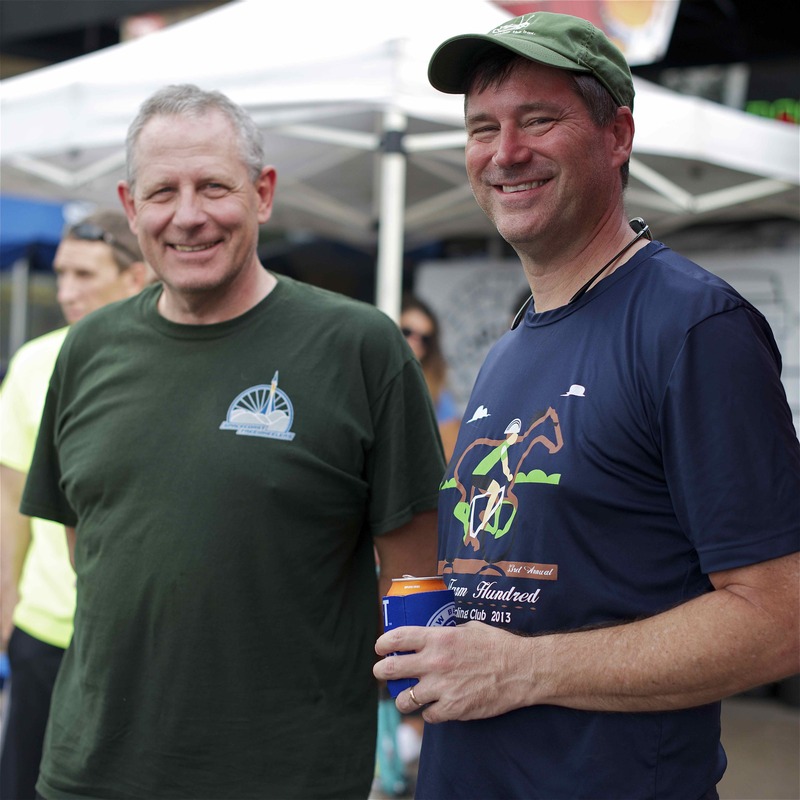 It was an excellent event and we were fortunate to have a photographer on hand from the Orlando Weekly there, Ms. Thuy Vi Gates. 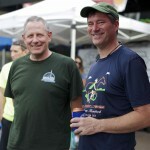 Many old friendships were renewed and many new ones made. 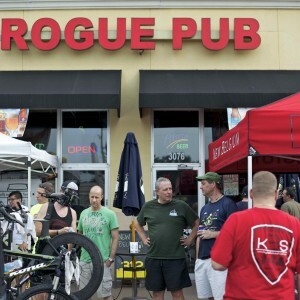 Expect to see a lot more cycling activity at the Rogue Pub soon. 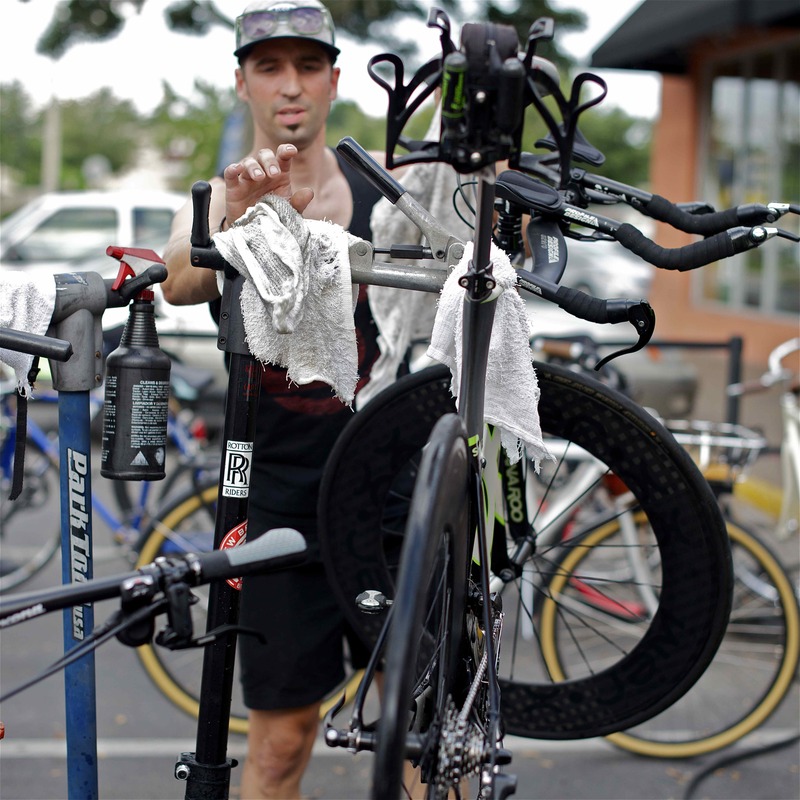 Kyle Markel cleaning John Tenney’s TT bike.